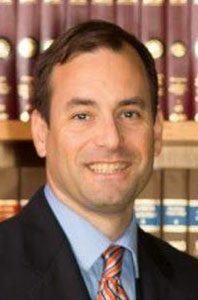 S. Brian Bull attended the University of Florida where he received his Bachelor of Arts degree in Criminal Justice and Political Science in 1996. He graduated from the University of Florida Levin College of Law in 2000. While in Gainesville, Mr. Bull served as Editor-In-Chief of the Florida Journal of International Law. He has been a member of the Lambda Chi Alpha Fraternity since 1993 and the Golden Key National Honor Society since 1994. Mr. Bull was inducted into the Florida Blue Key Leadership Society in 2000. Mr. Bull joined Scott, Harris, Bryan, Barra & Jorgensen, P.A. in 2000 and became a shareholder in 2007. He practices in the areas of commercial litigation and civil trials. Mr. Bull is board certified in Business Litigation Law . Entire contents copyrighted © 2000 - 2017, Scott, Harris, Bryan, Barra & Jorgensen, Attorneys At Law. All Rights Reserved. All content, including but not limited to text and images, are the sole property of Scott-Harris, et al, and may not be used without express written consent. All information found herein is subject to change without prior notification. Please contact us to verify any site content prior to relying on said information. The hiring of an attorney is an important decision that should not be based solely upon advertisements. Before you decide, ask us to send you free written information about our qualifications.